In the spring season of each year, international attention is drawn to the publication of Transparency International’s (‘TI’) flagship offering; the annual Corruption Perceptions Index (‘CPI’). True to form, following the release of the CPI 2018 on 30 January this year, the global anti-corruption discourse has been infused by the most recent findings of TI, a Berlin-based NGO, which ranks 180 countries and territories across the globe on perceived corruption levels within their systems. Results this year present a somewhat despondent overview of anti-corruption progress on a global scale, as scores have stagnated and key proponents such as the United States (‘US’) have stalled or slid backwards on the table. The Middle East as a region continues to face critical scores in conflict-torn and unstable nations, though in the context of incremental gains, moves in the region have generally been in the right direction. Despite its status as the leading international indicator of corruption perceptions, the CPI’s seeming reliability is quickly eroded by fundamental shortcomings in its methodology. Whilst an attempt to provide a benchmark for global corruption levels is commendable, distilling a concept as nuanced and complex as corruption into a single-figure score has been widely criticised as a counterproductive exercise. In this light, the question remains what lessons can be learned from the CPI 2018 for businesses in the Middle East and the wider world, and how it can assist in removing the marks of corruption from across the globe. In a concerning trend for global anti-corruption campaigners, the results of the CPI reinforce the sentiment that little progress is being made in the fight against corruption. Out of 180 nations included in the CPI 2018, only eight have experienced significant changes to their corruption perception scores since last year’s results, six of which were positive changes (namely Italy, Belarus, Argentina, Guyana, Angola and North Korea), with the remainder featuring little to no progress, or even a decline. Even from a more long-term outlook, only 30 countries have experienced significant change since 2012, with 14 of these experiencing a significant decline rather than any improvement. After an extended period of intense scrutiny that has surrounded the various investigations in the United States, the US recorded one of the most noteworthy scores in the CPI 2018, dropping four points from 75 to 71 and failing to rank within the top 20 nations for the first time in eight years. Though four points is not a statistically significant move, the symbolic importance of one of the world’s leading advocates of transparency exhibiting diminished confidence in public integrity is tangible. In the context of shifting dynamics on the international leadership front, China’s immobility on the CPI is also worthy of note. With a CPI 2018 score of 39 that has fluctuated only minimally since it received the same score in 2012, the anti-corruption drive of the Chinese Communist Party under the leadership of Xi Jinping has seemingly had little to no impact on professionals’ perceptions of corruption within the global superpower’s system. As China faces increasing pressure to sustain its economic growth (amid the ongoing trade tensions with the US and the threat of sanctions on its telecom giants), improving corruption perception may prove to be a key facet for attracting foreign investment. In the context of incremental gains, moves in the Middle East have generally been in the right direction. Outliers in the overall trends are Egypt and Oman, which have both demonstrated tangible improvements in corruption perceptions. Each country has risen 12 and 15 places in the ranking respectively (Egypt from 117th and Oman from 68th), despite scoring only a few points higher. Seemingly disproportionate moves in the rankings should not diminish their achievements, however, as corruption is an insipid practice any progress during a time of relative stagnation merits commendation. The range across Middle Eastern countries spans territories that are currently some of the most troubled in the world, including the lowest ranked Syria, Somalia and Yemen, which often detracts from the Region’s more favourable success stories. The UAE, for example, leads the Middle East with a score of 70 and a rank of 22 – just one point and one place behind the US, and favourable even compared to some developed Western democracies such as Italy and Spain. Saudi Arabia, meanwhile, has faced challenges in translating its high profile and bold anti-corruption reform effort into more positive perceptions of governance standards, despite a continued co-ordinated campaign against improper governance practices. In keeping with the global trend, other regional nations, including Kuwait, Lebanon, Bahrain, Jordan and Iraq, have also displayed negligible momentum in redressing corruption perceptions, though this should not be used to equivocate a corresponding failure to redress actual corruption levels. Evidently, there is room for Middle Eastern States to forge a path ahead in anti-corruption efforts. Many of the articles in this Financial Crime Special Focus Edition pivot around the surge in anti-corruption reform in regional States, including the new national anti-corruption strategy in Kuwait, an extensive reform programme in Saudi Arabia, and various implementations in the UAE which are suggestive of a more sustainable, holistic approach. Considering the widespread regional drive for diversified economies and international investment, Middle Eastern countries are poised for momentous change and can use their legislative manoeuvrability to make greater strides in the corruption sphere. Varieties of Democracy (V-Dem) 2018. Each of these sources analyses different aspects of corruption, and converts the results to scores on their respective numerical scales. TI then standardises the data from each source to its 0-100 scale, averages the scores available for each country (there must be data from at least three sources available for each country) and finally calculates the margin of error and confidence interval for each score. These numbers are used to indicate each country’s overall level of perceived corruption and are compared directly against one another to create the rankings. The CPI attracts significant methodological criticism for a number of reasons. Aside from scepticism regarding the independence of data and other statistical techniques, for Middle Eastern countries the methodology poses a particular problem with regard to available data. Regional countries are typically scored on the basis of less data, due to their exclusion from several of the underlying source studies. This is due to a number of reasons, including a narrower geographic focus (as with sources such as the PERC Asia Risk Guide) and lack of available data for global studies. The World Justice Project Rule of Law Index, for example, omits almost all Gulf Cooperation Council (‘GCC’) States from its data, with the exception of the UAE. As a result, the scores for these countries do not include evaluation of important corruption facets included in the Rule of Law Index, such as the behaviour of government officials in various branches of the State’s security, executive and judicial apparatus in relation to opportunities for private gain. Many of the GCC States have expended considerable effort to impose proper and effective controls on public officials, and inclusion of such data may have resulted in more favourable scores on the CPI. As a result, scores for countries that are informed by a smaller data set are not as nuanced or as comprehensive as those that have been amalgamated from a greater number of sources, which may lead to an imbalanced evaluation of their overall corruption perceptions. Bahrain, for example, is particularly affected by this feature, as its CPI score is based on underlying data from just four of the source studies, barely reaching the required minimum of three. Bahrain has experienced disappointing scores on the CPI, tumbling down from 51 to 36 between 2015 and 2017. Though its scores have stabilised and its 2018 result of 36 shows no movement from last year, it is possible that its record would have differed had a more comprehensive range of factors been considered. One of the more obvious criticisms of the CPI is the practical issue of reducing a concept as complex as corruption to a simple single-figure form. Corruption is a multi-faceted and nuanced notion that encompasses a spectrum of behaviours, values, norms and practices, and even proposing a universal definition is problematic. Common understanding of the ways in which corruption manifests differs by jurisdiction, and are steeped in cultural cues and contextual factors. One common issue for Middle Eastern countries, for example, is the Western-centric vision of democratic and liberal structures as a causal requirement for the absence of corruption. Blanket application of this assertion is not particularly constructive to a region that exhibits alternative governance structures. If applied without critique, emphasis on such elements could generate negative scores that could obscure some of the invaluable anti-corruption achievements that have taken place across the Middle East. As a result, corruption perceptions are equally varied, and condensing such a broad spectrum of opinions into a single-figure is inevitably too blunt an instrument to demonstrate the intricacies of the issues at hand. It is also important to note that the CPI is a measure of corruption perceptions, which not only contain inherent biases but are also distinctly removed from instances of actual corruption and are not an accurate proxy for measuring such practices (or the enforcement efforts of various authorities to stamp out corrupt practices). The inability of the CPI to accurately portray levels of corruption is exacerbated by gaping holes in its data set. All source studies incorporated by the CPI are focused on public sector corruption, leading to an equivalent myopic focus in the CPI. As a result, fundamental aspects of corruption that exist outside of governmental practice bear no reflection in the data, including private sector bribery and embezzlement, money laundering and illicit financial flows, tax fraud, informal economies and citizen experience of corruption. Excluding these corruption facets from the evaluation effectively disguises criminal activity in States that are presented as being particularly clean. Denmark for example, was awarded the highest ranking in the CPI 2018, yet has recently experienced two separate high-profile scandals when its biggest lender bank became embroiled in an Estonian money laundering scheme, and public funds were embezzled through an administrative department of the Danish Ministry for Children and Social Affairs, Socialstyrelsen. Similarly, Canada was ranked ninth on the CPI 2018, but has recently been rocked by a political interference controversy involving a Quebec-based engineering and construction company which has raised the issue of ethical standards in government and has encompassed every level of government. Such cases expose how the CPI can misconstrue the risk of criminal activity in highly ranked countries, and fails to account for significant elements of corruption risk. In keeping with its eponymous quality, TI has been very transparent about its methodological limitations, and is careful to acknowledge that there is margin of error in its results. 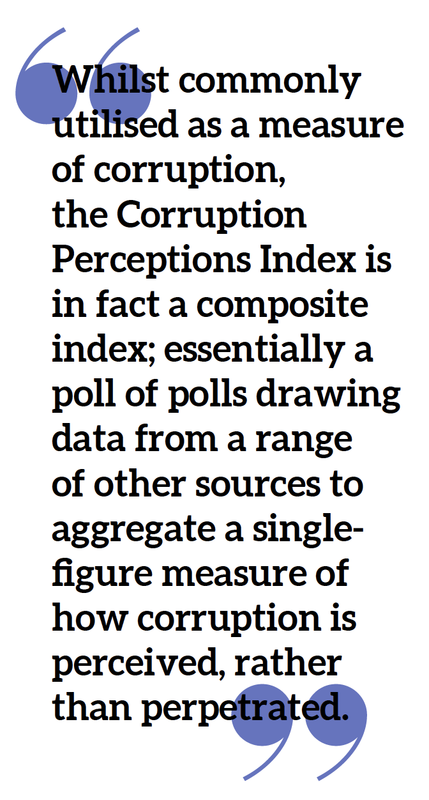 With this in mind, the CPI is an ambitious exercise to provide a benchmark figure for perception of corruption in nations across the world. Moreover, its broad stroke approach to amalgamating data does allow it to incorporate a multitude of corruption manifestations and controls within the public sector. For many, the intrinsic value of the CPI is its effectiveness in drawing anti-corruption issues to the forefront of the international agenda. By invoking a comparative reference for perceived corruption levels, TI’s work though flawed is instrumental in raising awareness of systemic governance issues and provoking reformative efforts. Given the continued deference to the CPI by businesses and NGOs, favourable rankings go a long way to enhancing the reputation of a given State, and governments will be keen to be seen as improving on the universal scale. In Kuwait, for example, following the publication of the CPI 2017, the Kuwait Cabinet mandated its national Anti-Corruption Authority (Nazaha) with analysing the findings of TI so that it could enhance and expedite any measures, including international cooperation, which might improve Kuwait’s rating (Kuwait’s 2018 score of 41 represented an increase of two points on its 2017 score). Despite this added value, it is important not to equivocate the CPI with an absolute measure of corruption. The faults in its methodology are widely acknowledged, and whilst they should not undermine the latent value of the index altogether, they do warrant that the scores and rankings are taken with a heavy pinch of salt. Countries that have scored highly on the CPI should not be lured into a false sense of security, as a misplaced degree of cultural trust will not be sufficient to sustain vigilance against corrupt practices. High-profile cases of corruption scandals involving private companies are emblematic of how even States perceived to be the cleanest in the world are not indemnified against corrupt practices. On the other end of the scale, low scoring nations should not be unequivocally vilified for anti-corruption failures, as the rankings may have failed to capture important anti-corruption progress still in its nascent stages. From a regional perspective, businesses operating in the Middle East should take a degree of optimism from improved scores in countries such as Egypt and Oman, which represent the most significant upward mobility in the region and at the very least are a testament to improved regard of anti-corruption defences. Other countries such as the UAE and Saudi Arabia, which have seen their anti-corruption efforts (and other measures to boost investor appeal and confidence, including new Foreign Direct Investment laws) greeted by marginal demotions in the rankings should not be deterred by the apparent lack of progress, which may not be reflective of significant improvement in practice. Rather, these States, and others beyond the Middle East in similar circumstances, should focus their efforts on continuing to create cultures that are resilient to corruption in public office. 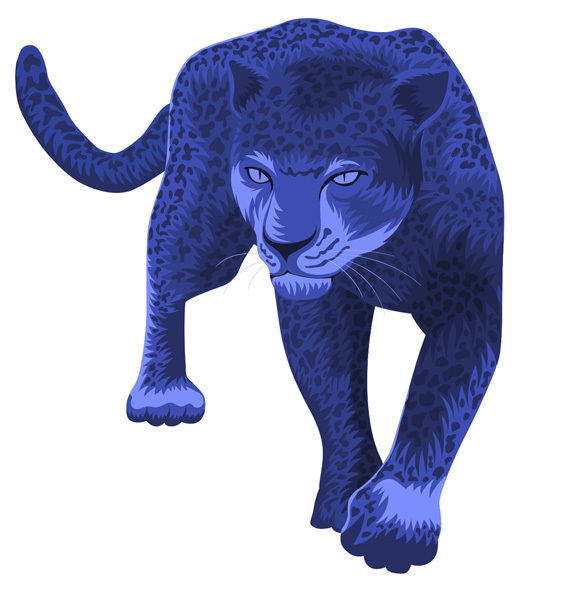 In this respect, the matter is less about the leopard changing its spots, and more about discerning where it actually has them.